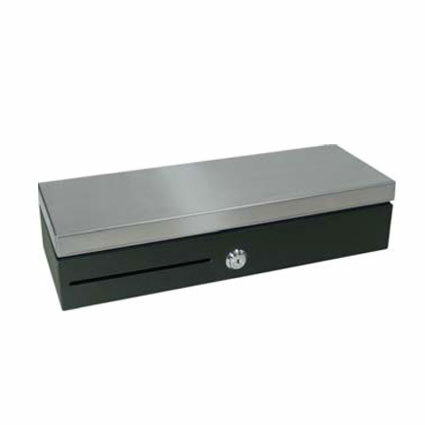 The APG Flip-Top cash drawer features a unique, space-saving design, ideal for food trucks, farmer´s market vending, or any money storage application where counter space is at a premium. Available with a variety of interface support, the Flip-Top is a versatile option. 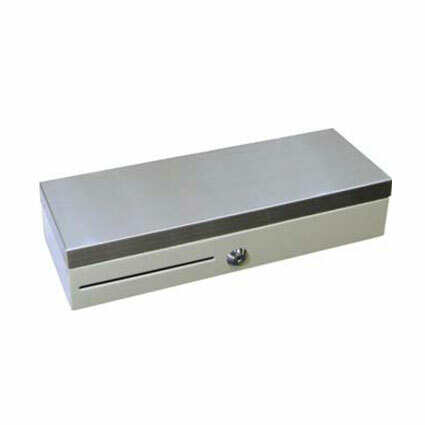 Unlike traditional cash drawers, the Flip-Top grants users access to the till by flipping the top open. 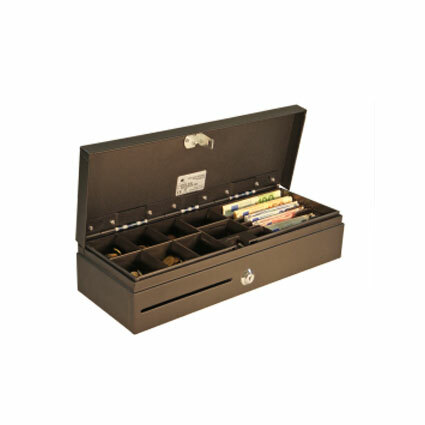 This allows the money to be stored in a shallower footprint, saving vital counter space for additional products. 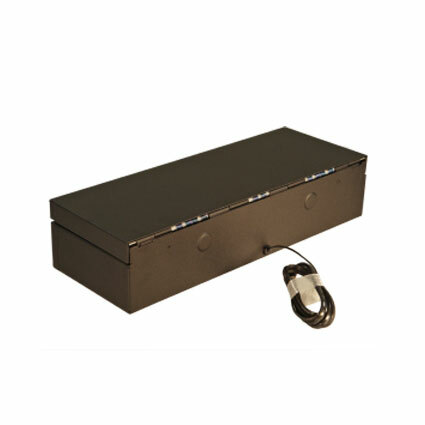 The Flip-Top can also reduce employee fatigue, giving them access to cash without much bending or twisting. 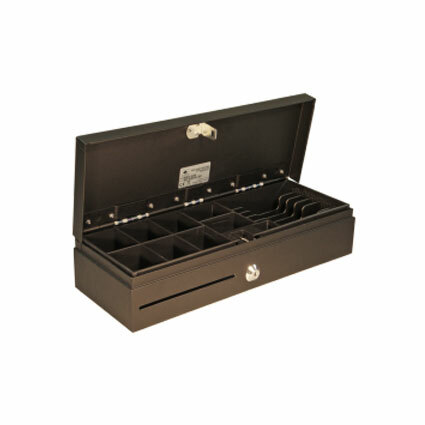 With four bill slots and 8 coin slots, the Flip-Top can hold most money used in day-to-day transactions. APG built the Flip-Top to the same great standards as their other printers, ensuring long-lasting usability. The printer is tested to last beyond two million operations, opening smoothly throughout its life. 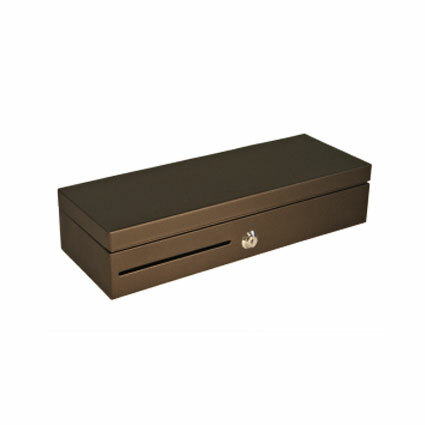 The steel frame of the Flip-Top holds up to wear and tear, resisting the stratches and dings that can break lesser cash drawers. Shipping with a two year warranty standard, the APG Flip-Top provides many years of great operation.